What is a Software-Defined Perimeter? What is a Cloud VPN? Cloud access security brokers (CASBs) are security policy enforcement points that ensure compliance and policies between cloud service customers and cloud service providers. We offer a solution with CASB features that helps organizations to mitigate cloud service risks, audit cloud resource access, enforce security policies and meet strict compliance regulations. 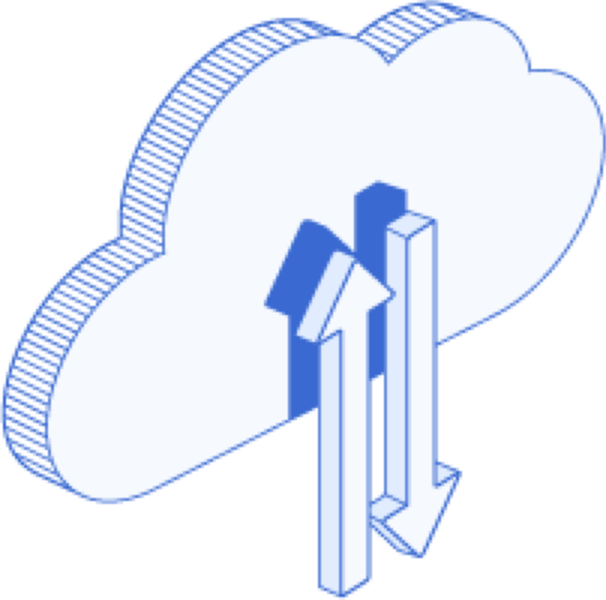 A cloud access security broker (CASB) is a tool or service that regulates an organization's and cloud provider’s policies. CASB security controls address cloud service risks, identify high-risk applications and enforce security and compliance regulations in IaaS platforms such as AWS, Azure, and Google Cloud. By ensuring that network traffic between on-premise devices and the cloud provider comply with the organization's security policies, CASBs, and similar services, help organizations extend the security controls of their on-premise infrastructure to the cloud. CASBs are particularly useful in organizations with shadow IT operations or liberal security policies. When multiple departments manage their own cloud resources, it is essential for security teams to maintain security and monitor cloud service usage. With the rise of BYOD devices and multiple access points, users are now able to access unapproved cloud services and even mishandle business data in approved ones. Cloud service providers only manage the security of the cloud infrastructure. They do not secure the connections to that environment, meaning businesses are responsible for everything that is in the cloud. Because of this model, experts have predicted that for the next few years, the majority of cloud security failures will be caused by the customer, rather than the cloud security provider. Users often access “shadow IT” that eludes security policies - such as cloud services that are acquired by individual departments and not shared with the IT team. CASBs in enterprises allow IT departments to mitigate these new risks introduced by varying cloud services. CASB allows IT to take back control of these free reigning processes by enabling IT departments to monitor the usage of cloud services and implement centralized controls to ensure security practices are followed. With comprehensive integrations, CASBs can ensure your environment remains protected even with progressively intelligent attacks. Instead of taking a coarse-grained approach and blocking services, the best way to monitor activities is through granular visibility and control. This allows you to define policies and govern usage based on identity, service, activity and data. With a CASB, or similar security service, you can determine service categories and risks, enforce policies such as alerting, quarantining, bypassing and more. CASB security features ensure that all data, including on premise, remote, sanctioned or unsanctioned is protected. Utilize Enterprise Data Leakage and Loss Prevention (DLP) to prevent the loss of sensitive data across your entire cloud environment. This covers data processed even from mobile devices, web browsers, apps or sync clients. With full visibility of cloud services, you can guard your cloud environment from malicious software such as malware and ransomware. Anomaly detection and threat intelligence allows you to determine even the most sophisticated attacks such as SSL-encrypted connections. Anti-malware detections combined with machine learning can even detect ransomware. SDPs protect networks and critical assets from external threats. To control access in sanctioned and unsanctioned services, businesses need full visibility into their cloud environments. A CASB allows businesses to govern access, activities and data within the cloud,report on cloud spending, and identify redundancies in functionality and license costs. Organizations need to ensure their employees aren’t introducing malware and other threats through outside clients and services. With threat intelligence, malware analysis and threat remediation, detection of insider threats, unauthorized user threats and comprised accounts are all managed. By enforcing data-centric security and reducing the detection surface area according to user, location, activity, and other identifying data. Further security implementations include encryption tokenization, access control, and information insights and management. Compliance regulations are designed to ensure the safety and privacy of corporate data. Cloud brokers ensure data resiliency and cloud compliance in coordination with your organization's policy requirements. Secure employees' access to cloud resources with our single-click service. At Perimeter 81, our mission is to simplify security so that all businesses can offer their employees secure remote access — no matter where they work. To do so, we are transforming the traditional corporate VPN experience with a next generation Cloud VPN solution and hardware-free cybersecurity innovations.